India is a leadership driven society—it suffices to look at Popatrao Pawar, the village head of Hiware Bazar in the Ahmednagar district of Maharashtra. In the span of twenty years, he transformed his drought-struck poverty-ridden village into one of the best models India has seen. 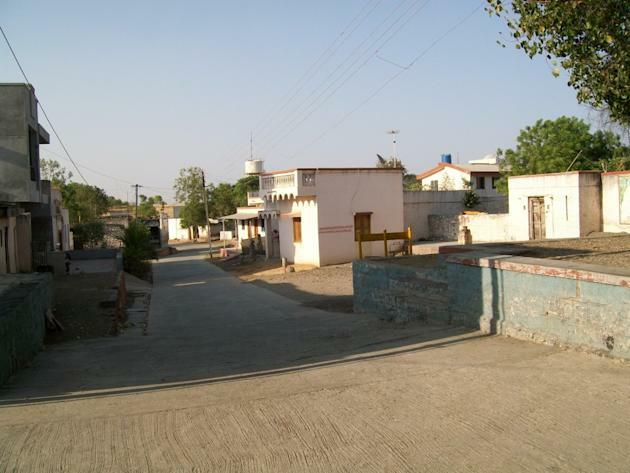 Before he took over the reins, the village suffered many problems: there was hardly any agriculture in the village from a lack of water, causing villagers to migrate elsewhere as daily wage labourers; the school was non-functional; domestic violence and village fights punctuated lives as alcoholism was rampant; and the surrounding eco-system was seriously degraded. So how does one actually make a village rise against such problems? The first thing Pawar did was get rid of the 22 illicit liquor dens, ban consumption of liquor all together, and ban tobacco and gutka. Then he inspired the villagers to pitch in to build dams and dig ponds to trap the little rain that came in. This new water management system helped immensely as the wells soon filled, allowing farming to begin anew with fields becoming lush and green. Not wanting to take change for granted, Pawar got water audits done so that there was a close check on water availability. Water was never wasted, as selfless villagers built 52 earthen bunds, two percolation tanks, 32 stone bunds and nine check dams—All through the use of the same government funds available to any other village. Before 1995, there were 90 open wells with water at 80-125 feet, whereas today, there are 294 open wells with water at 15-40 feet. To put this into context, other villages in the Ahmednagar district have to drill nearly 200 feet to reach water. Farming flourished as Pawar got farmers to invest in milch cattle, making milk the new gold of the village. While milk production was only 150 litres per day in 1995, today, it has crossed the 4,000 litre threshold! All this helped reverse migration see over 60 families return with the desire of becoming farmers once again to live life with dignity. Now there are decent-looking houses all over and villagers look content, glowing with happiness. The monthly per capital income has crossed Rs. 30,000, and in a village of 235 families and 1,250 individuals, there are 60 millionaires! Today there are only three families who live below the poverty line, but the village is now working to help them improve their income with hopes that in another year, no villager be poor. All this is more amazing when taking into account that in 1995, there were 168 BPL families in the village. But Pawar has not only tackled the economic needs of the village. With regards to the waning ecosystem, he facilitated the planting of over ten lakh trees to fuel languishing bio-diversity; even Babool trees that were earlier cut for fuel are now cared for, as villagers began harvesting its gum that sells for Rs. 2,000 a kilo. One would think that these accomplishments already make Pawar one of the great leaders of India, but on top of everything, Hiware Bazar is spotlessly clean—all without sweepers; villagers take pride in keeping their home clean, and defecation or urination in public is unheard of. Best of all, now that cleanliness has overtaken the village there is a crucial benefit for the villagers: widespread disease has become a thing of the past. In addition, to get children to learn the benefits of good governance, Pawar began a children’s parliament giving them specific roles to work under. The “Education Minister” for example, goes from house to house inquiring if the school is functioning well. Even the teachers themselves learn from their students and respect this monitoring to incorporate the childrens’ advice into their work! But how did Pawar address caste and communal conflicts that often divide society into sparring aggressive groups? It was very simple: he relentlessly stressed that change could not be brought about without communal amity, and his efforts were so beautifully embodied when the village Hindu community built a mosque for the only Muslim family in the village for them to not have to pray in the open. And how has Hiware Bazar brought a new respect to women in the face of strong gender inequality in India? First of all, Pawar has got the gram panchayat to take care of the education and marriage expenses of the second daughter of any family, but also, out of the seven-member panchayat, three are now women. In addition, Pawar has stepped down from the village headman’s position (remaining as deputy sarpanch) to allow a woman to replace him. Finally, to bring in holistic change, Pawar is now motivating villagers to adopt family planning. A lot of stress is being put on health and hygiene as it is crucial for the future of the village. In fact, Hiware Bazar is also the first village in India to persuade couples take an HIV test before marriage. Interestingly, none of Pawar’s suggestions or schemes are opposed as the village has full confidence in him as he goes about trying to better their lives.